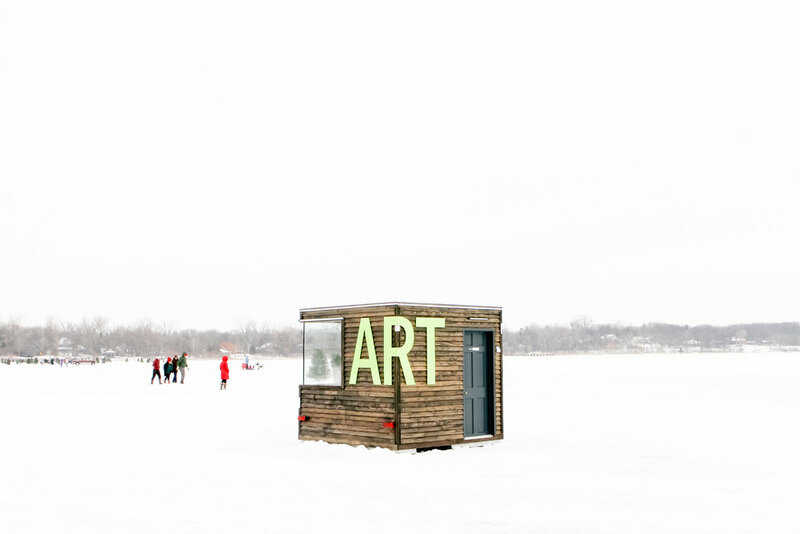 In 2016 NewStudio once again participated in the Art Shanty Projects, a collection of temporary artist-driven structures placed on the frozen waters of White Bear Lake in the tradition of ice-fishing communities. 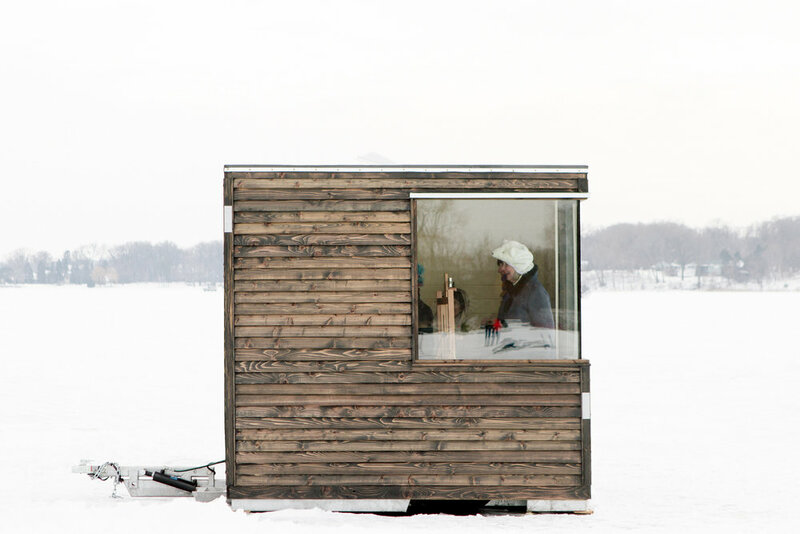 Programmatically the Art Shanty was designed to provide a comfortable workspace for artists to be inspired by the color, light, and moods of the lake. Visitors could watch the artists, ask them questions, and see the lake from an artist's perspective. 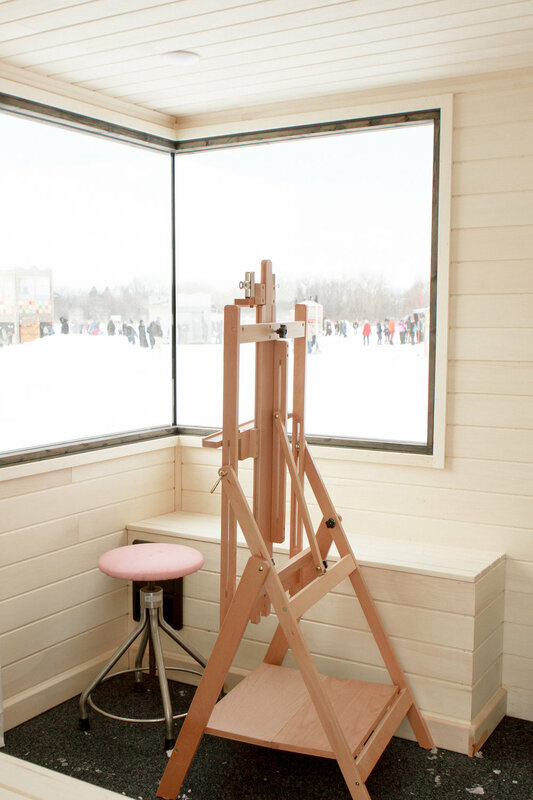 The NewStudio team constructed the shanty on skids, adding portability to the compact art studio on and between land and ice.